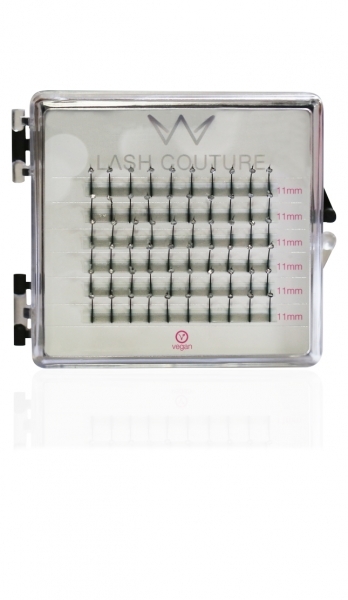 Our diamond lashes are decorated with silver diamonds. The new 2018 collection is lighter, more elegant and easily applicable. Besides the Mixbox, this article includes also single length treys 11-13mm respectively.